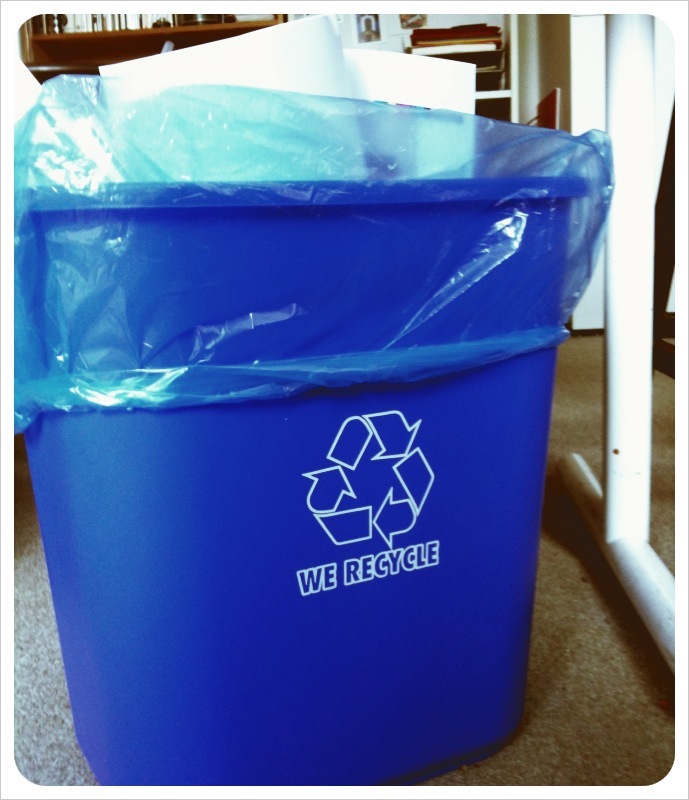 The 3 R’s: Reduce, Reuse, and Recycle! As an environmentally conscious artist, I find myself often thinking about the amount of waste that can be created during the art making process. The quantity of paper that I use for sketching and writing ideas for future projects is staggering in itself. As an art educator it can sometimes be even more daunting. I consider the amount of supplies that I alone use and then multiply that by the number of visitors we see in C3. So in an effort to be a little more green for Earth Day, I chose recycled/recyclable materials for the current C3 Art Spot theme. Though some of these materials were purchased, much of the cardboard we have been using at the Art Spot has been donated by DMA employees. Admittedly, when I put out new supplies, I was curious and anxious to see what our visitors would make. As usual, the creativity of our visitors has been astounding! The creations have included animals, robots, and vehicles, just to name a few. When I chose these materials, I was hoping to perhaps help visitors see what kinds of beautiful, creative things they could make with items they may typically take for granted. An added bonus has been hearing from the DMA staff who have donated their recycling. It has been a joy for them to see their recyclables transformed into works of art! Check out more of our visitors’ creations on our Flickr page. Perhaps this Earth Day you can take some time to reconsider your art materials and make a recycled masterpiece! Happy (almost) Earth Day! To celebrate the upcoming Earth Day on April 22nd, I’m highlighting some works in the DMA’s collection that give a special nod to our home planet. 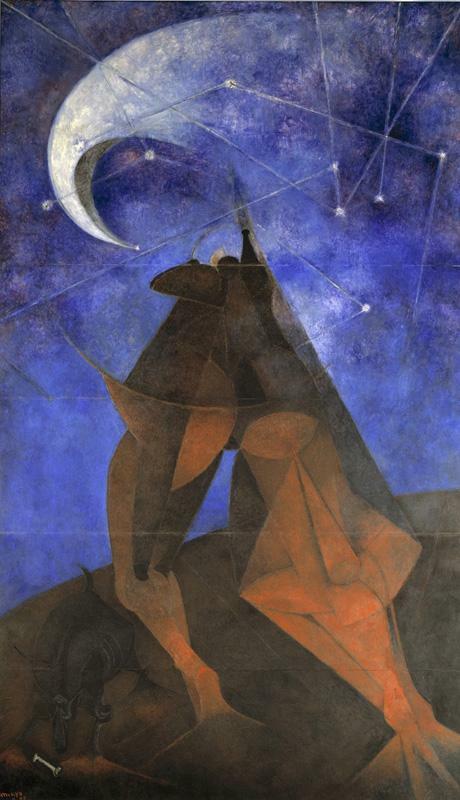 Rufino Tamayo’s El Hombre (Man) was commissioned by the Dallas Art Association to celebrate the universality of the human condition. With legs resembling tree trunks rooted strongly in the ground, the figure suggests the inextricable tie between humans and Earth. 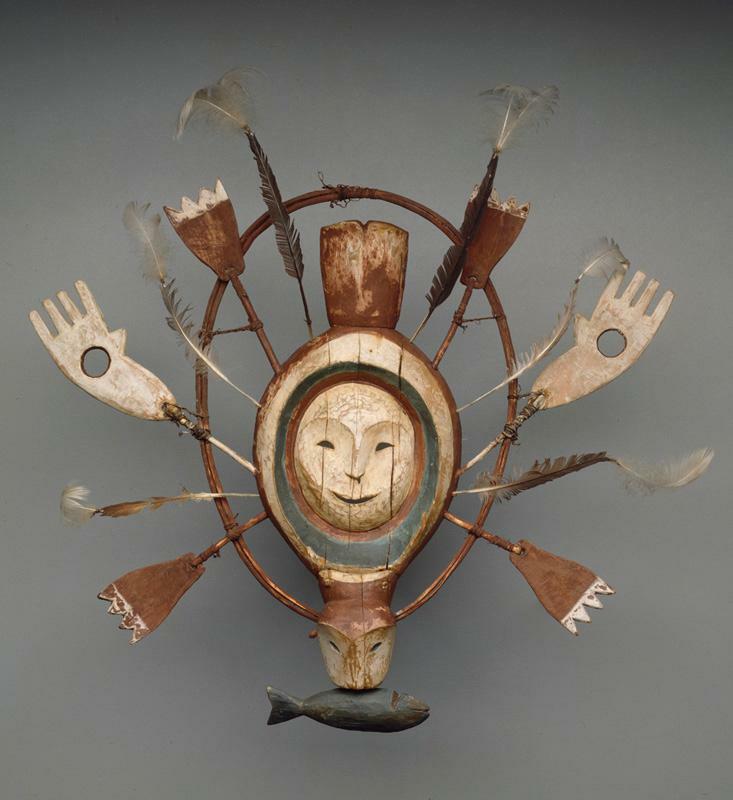 The Yup’ik peoples of Alaska’s western coast and adjacent islands created this mask. They understand their relationship with their maritime environment, particularly its sea creatures, as collaborative and reciprocal. Masked dances at seasonal festivals honor the animals hunted during the previous year. Often using the Earth as his medium, Robert Smithson transports earth into the gallery with a long pile of sand separated by mirrors, contrasting the organic and the man-made. Check out the educator resources of the Earth Day Network for some inspiration for incorporating environmental issues into your teaching, or celebrate Earth at the two-day Earth Day Dallas festival. 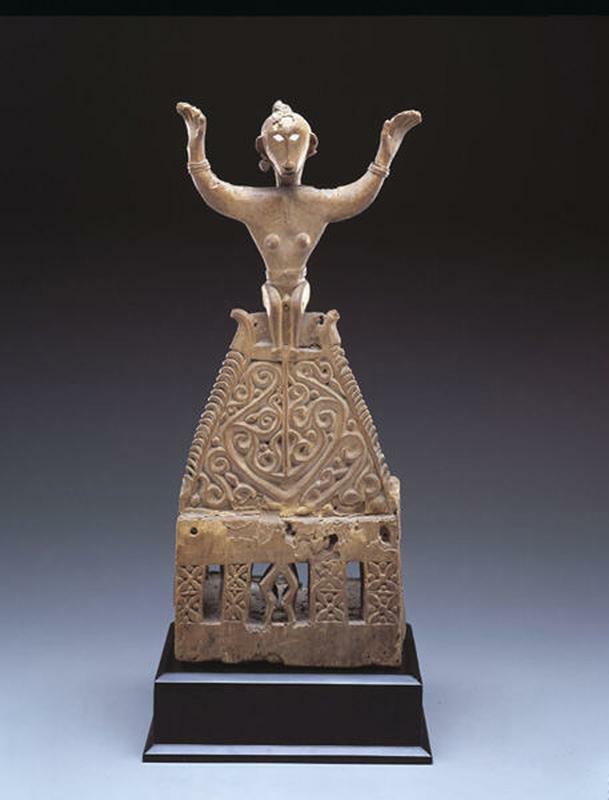 Altar depicting the first female ancestor (luli), 19th century, Dallas Museum of Art, The Eugene and Margaret McDermott Art Fund, Inc.
Reduce, reuse, and recycle. As Earth Day rolls around, we’re reminded of our impact on the environment. But what are we doing at the Dallas Museum of Art to be green? Uncrated went on a search to find out. Each year, over half a million visitors step through the Museum’s doors, and our large building is 500,000 square feet, taking up two city blocks in downtown Dallas. 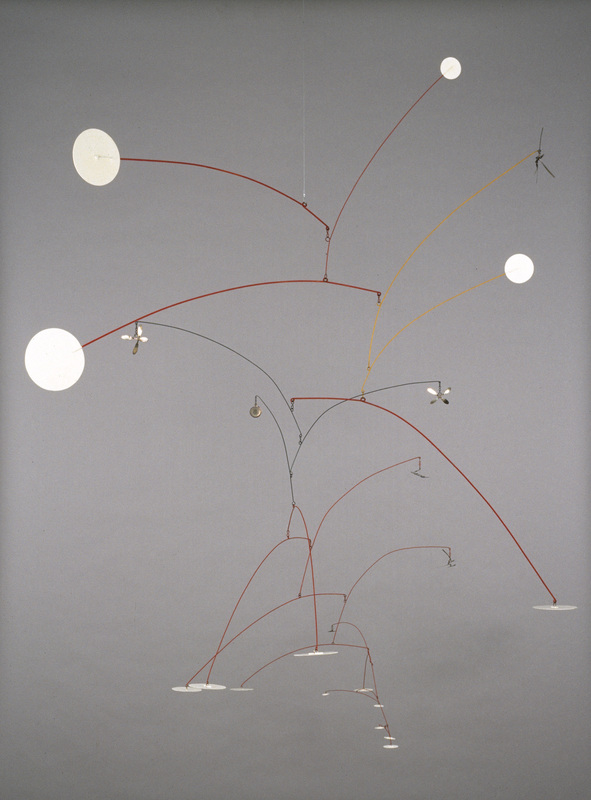 Our global collections span over 24,000 works of art, and we produce an average of eighteen exhibitions each year. We have an underground parking garage, a cafe, a store, and over two hundred employees. Three years ago, The City of Dallas and the DMA retrofitted the building’s entire energy management systems in order enhance energy efficiency. Efforts included replacing our boiler and chillers, adding eco-friendly light bulbs, low flow toilets and water fixtures throughout the museum. As a result, utility consumption has been reduced over 50%. The Museum has a water management system throughout the building. It is a smart system with rain sensors for our hardscape and landscaping. 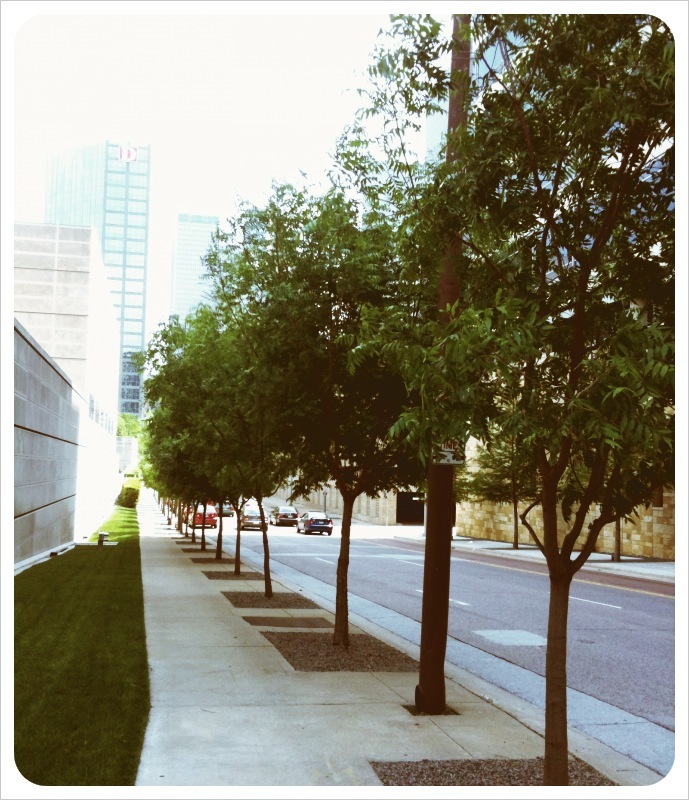 We added healthier, more drought-tolerant trees along the Museum bordering St. Paul Street. All chemicals and cleaning agents used at the DMA are eco-friendly. DMA employees are offered a discount to ride the DART system to work. There is a bicycle rack located on Ross Avenue Plaza. When layouts of our galleries are changed for new exhibitions, we reuse studs and building materials. All crates and art packing materials are reused and/or recycled. 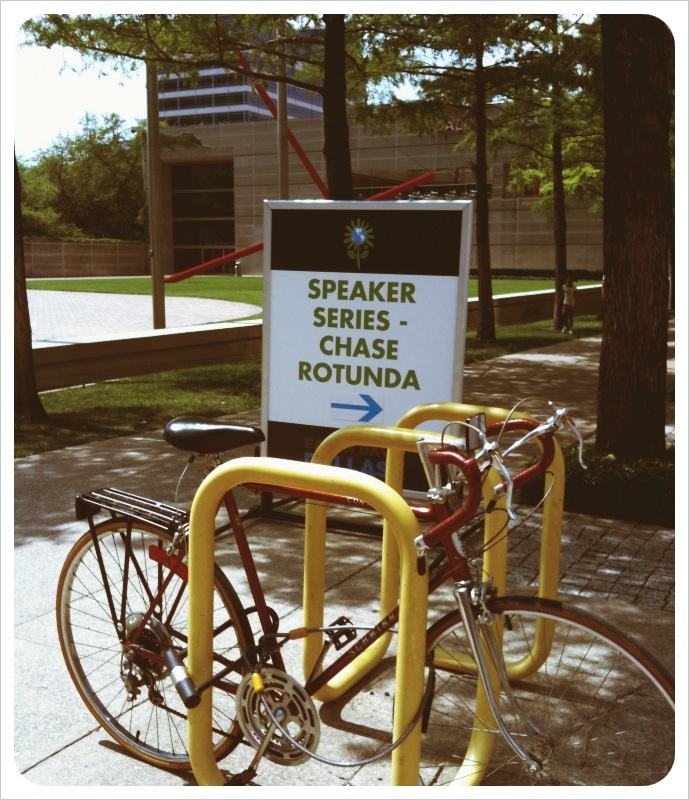 The DMA participates in a recycling program with the City of Dallas. The profits the City makes are sent into the general fund for City programs such as Park and Recreation projects and Fire Department equipment. 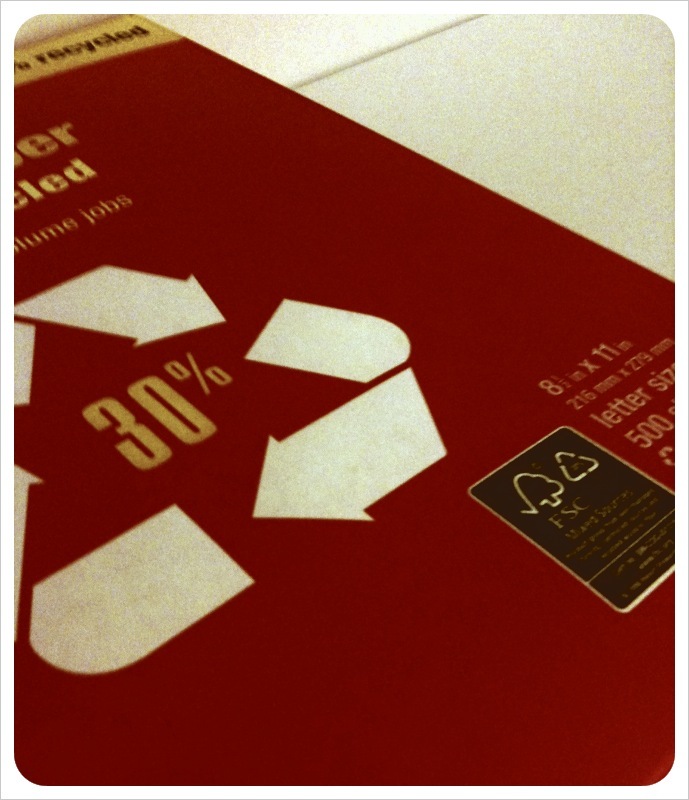 All copy paper used at the Museum has a minimum of 30% post-consumer waste content. 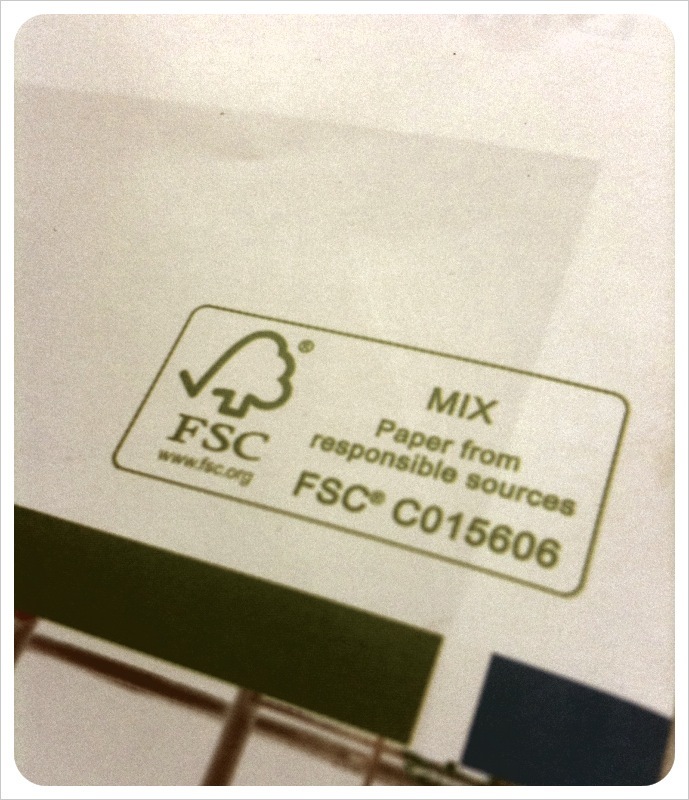 All of the printed materials produced by our Creative Services team are printed on Forest Stewardship Council (FSC)-certified paper, using an FSC-certified paper distributor, and 95% of the commercial printing (100% local) that the Museum does uses an FSC-certified printer. The admission tags that visitors receive when they visit the DMA are collected and reused. 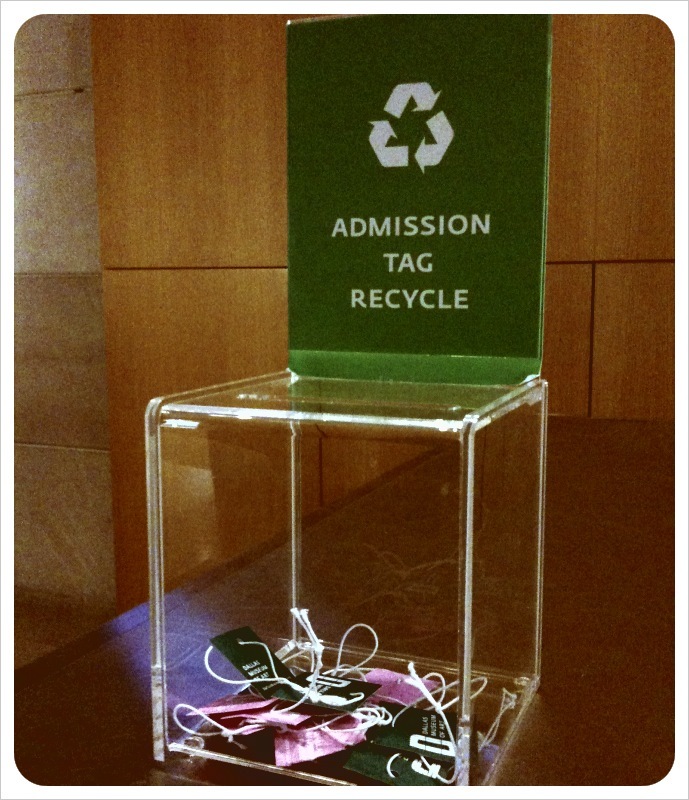 Look for boxes at the Visitor Services Desk to recycle your tag when leaving. 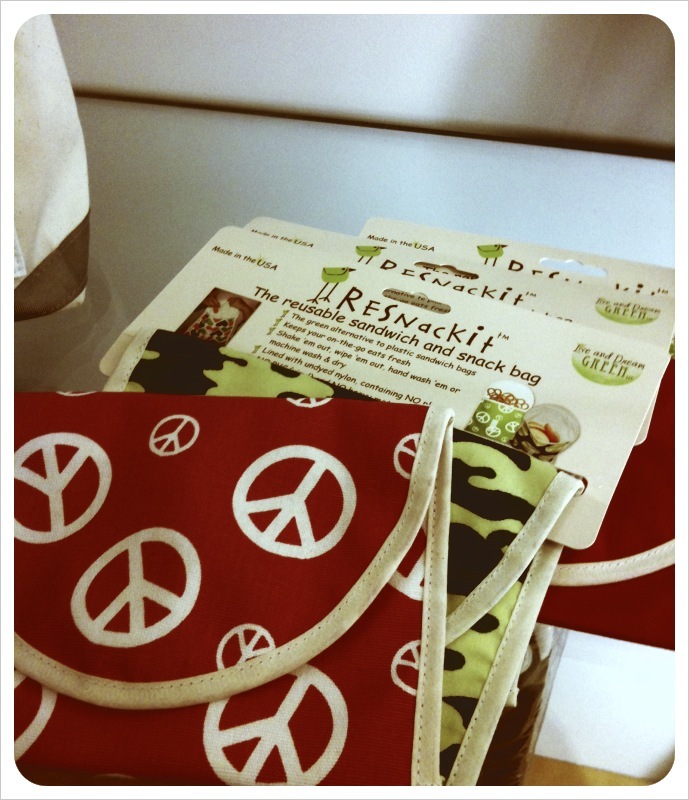 The Museum Store features products from many local artists and craftsman and also has a wide variety of eco-friendly products. Our cafe uses compostable or biodegradable disposable containers and recycles all plastic, glass bottles, paper, cardboard, wine corks, and cooking oils. This summer, we will begin working with a food composting company. The cafe menu consists of locally purchased organic produce, sourcing through local vendors within a two hundred-mile radius. 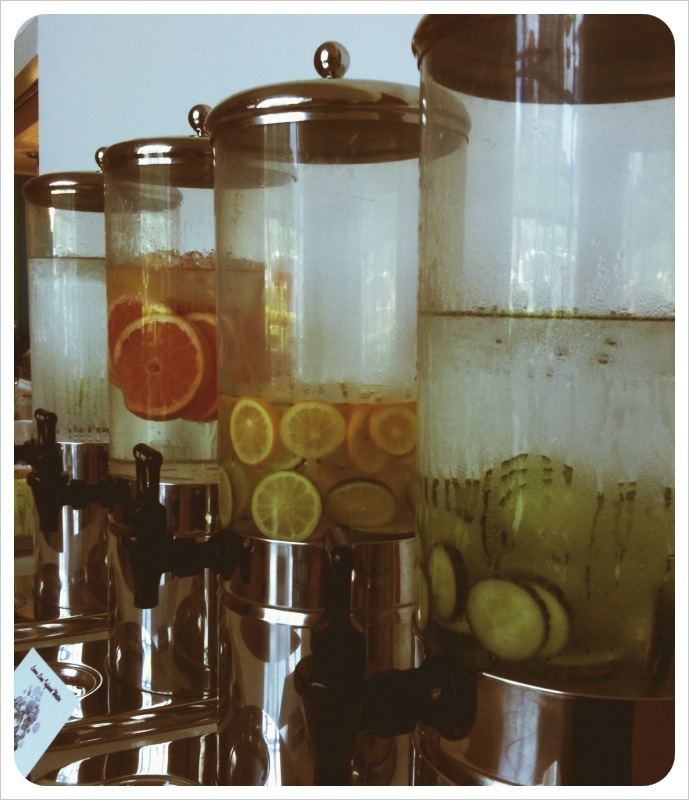 Soon, the cafe will implement new infused water stations and glass-bottled waters, phasing out plastic-bottled water. The DMA is working with the U.S. Green Building Council to achieve Leadership in Energy and Environmental Design (LEED) certification for these efforts. We hope to have our designation by August 2011. 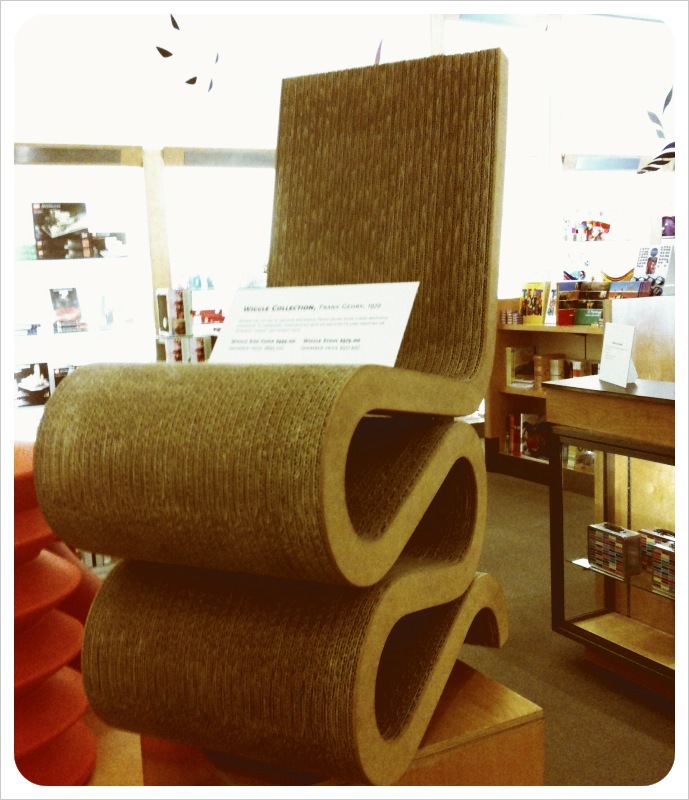 For a selection of works on view at the Museum that incorporate recycled materials, visit our sister blog, We Art Family, for their Earth Day post. And for eco-friendly activities, emerging green technology, and thought-provoking ways to think, work, and live green in Dallas, join us today and tomorrow in the downtown Dallas Arts District for the free Earth Day Dallas Festival (the DMA will have FREE admission on Saturday, April 23, 2011!). To reduce your carbon footprint, ride DART to Pearl Station and walk to the Arts District.